Disclaimer: I was not able to play Phantasy Star Universe. I do not have the hardware to play Phantasy Star Online 2. I am just one of those bitter folk from the pre-gamecube era wanting to speak their mind. Also screenshots given are going to be from Blue Burst, because that game was pretty neat and gave me many hours of gaming fun. 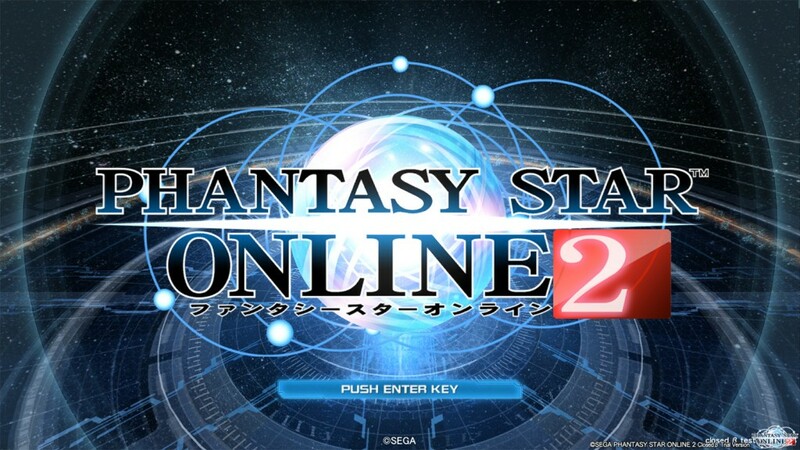 What I post now is to put forward my thoughts, hopes, and fears about the PSO2's just now publicly available beta. To get things out of the way. If you want to involve yourself setup instructions can be found here. Sadly that is a forum thread link rather than an official this is the beta signup site but it'll stay up to date and give better instructions than I can. If you leave at this point and decide not to stick around that is quite alright. Go. Game. Have Fun. Anyone still here? Alright. My brother had a dreamcast. No I wasn't part of the original v1/v2 era. 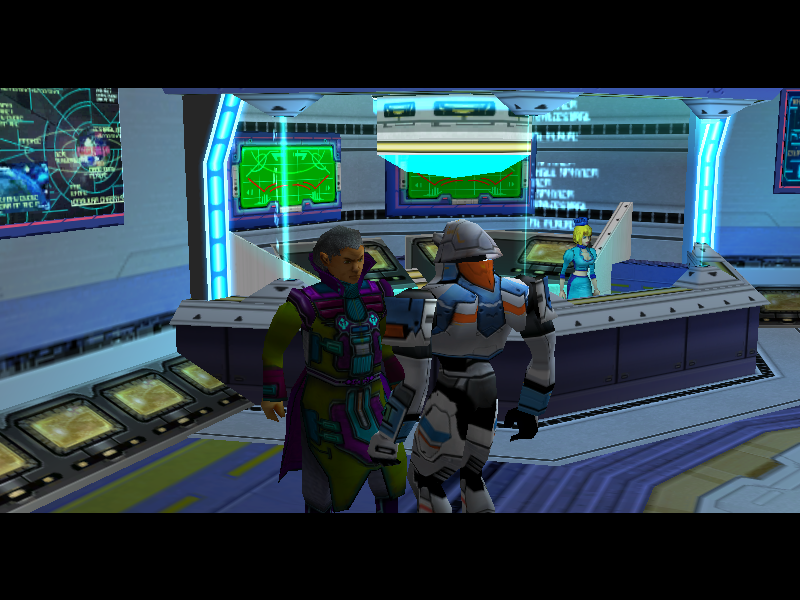 It wasn't til I'd found a demo download for 'pso pc' that I was able to give it a try. This was back in like 2000 or 2001. Ancient times for a lot of the younger crowd. The areas were rooms you had to navigate (no matter how 'not a room' each section looked here is how it would go: You go into area. Enemies would pop up. You kill enemies loot them, and a new path would open leading you to another area where you would do the same thing again. Sadly I think PSO PC only ever officially came out in japan so I didn't get to play it proper for another couple years. Then I got hold of a copy and instructions on how to set it up. I'd bought a gravis pad just to play this game because the keyboard controls were clunky and I was told by basically everyone I gamed with it's a thousand times better with a controller. This being more or less an exact port of the dreamcast version that made sense, and they were right. By modern standards... or even standards of 04 when I ended up getting my toes in the water the gameplay was very confining. Go through rooms. Kill stuff. You only had four distinct zones to go through and the enemies were all about as smart as retarded cockroaches. However that isn't why I loved the game. I loved the game because you didn't have to generally wait an hour or whatever for a paladin that had a specific character build to show up. You plunk down, maybe join a random game/instance and there you go. Onward. I made friends. We even planned events to get different people involved because even in it's heyday there were very few events that happened outside of Japan. Problem is, like the dreamcast version, hackers ran rampant, GMs were non-existent, There were events and items that never saw the light of day outside of japan, and basically there was this sentiment that the game developers didn't care about us dirty gaijin. I've heard rumors that support was non-existent and updates never happened because the developers claimed 'it'll just get hacked anyway so why bother.' On the one hand I have that fifth hand so can't say I trust it to be unbiased. However given how the Japanese had regular contests, events, giveaways, and Stateside we had... Nothing gives credibility to that line of thought. Blue Burst was fun. I couldn't get Phantasy Star Universe for my computer. It was too near the low end of the hardware requirements for me to feel comfortable. So I watched. I saw the community get promised this time would be different. This time they would be respected. I saw those promises get broken. Now we're on a new Phantasy Star. What do I not want to see happen? A few friends of mine have said, at least for the beta, every player will be in the same server. There won't be a Japanese server that gets lavish enhancements, events, items, and another server that gets jack nothing except hackers that run rampant and bugs that don't get patched. PSO2 is supposed to be free to play with buyable perks. Having spent time with Star Legend I have to say if handled correctly this could work out real nicely. By correctly I mean make the purchasables along the lines of experience boosters or drop rate enhancers or stat perks that last x amount of time, or extra character slots. Maybe this was addressed in PSU, but I've heard it's a mixed bag. There needs to be a variety to the areas you can have. Not just 'WE HAVE OVER NINE THOUSAND ZONES'. They all have to be relevant. Sure there will always be favorites especially if you only get one specific enemy that spawns there that you need for a drop. However all areas need to have some use otherwise you'll get player complaints that out of your possible playable spots only three ever see rotation. The fan base has been burned in the past. Developers and whoever is going to be GMing and doing ground-work in game have to understand that they're dealing with people that either are skeptical because they've been burned, or people that have no idea about the franchise because let's face it. Phantasy Star isn't all that hot or fresh. Because the returning people have been burned before they will be wary. They'll look for signs that support is crumbling, or that they'll get shoved to one side. Then they will abandon ship, or at least yell that they will then go all squee again when the next game comes out anyway. Funny. Other than the Dreamcast and way way back when it was a sega genesis franchise Phantasy Star has had to figure out how to play nice on several systems. Let's have a bit of a rundown shall we? 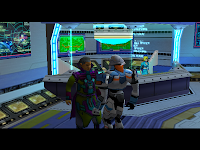 V1: What I consider 'Phantasy Star Online; The Prototype' because it lacked most of the quests seen in any other game that has Episode 1. However it was free to play, presumably to figure out if there was enough of a playerbase for a business model or not. V2/PC: When I say PC I mean the old japanese only version that came out around the same time as V2. Both of these have the same features and limitations. One just happens to be on your computer and handle memory kinda not great. After this point it splinters a bit. XBOX/GAMECUBE: This is where Episode 2 comes in (whether you love it or hate it) and the splintering begins. See XBOX has this whole 'xbox live' thing. Granted it wasn't quite as prominent as it is this generation, but it had a more cohesive system in place for handling this sort of thing. Gamecube, to the best of my knowledge, didn't. You might think that would make the XBOX better, and theoretically you'd be right except when you have something that has to work across several different platforms. XBOX live more or less means best case scenario you will always have minimum 'xbox servers' and 'servers for everybody else.' This becomes important when we get to PSU. Oh and Gamecube had a world server. Meaning an update for one is an update for all. PSO BLUE BURST: OK this is more or less, as I said, a port of the XBOX version. However instead of a poor man's port it got tweaks to interface and it's own servers (so now we have XBOX, Gamecube, and Blue Burst each on their own servers. Administrative trainwreck.) Also unlike Gamecube Blue Burst had Region servers again. I kind of said this before but I'll say it again. Japan's blue burst experiance was (from what I've heard and read about) a ritch fulfilling experiance with constant events, contests, new items popping up as updates happened... and back in the states after Episode Four hit. We got Jack. Yes there are community servers that integrate Gamecube and Blue Burst but those didn't get hopping till Blue Burst was effectivly dead commercially and no I'm not going to tell you how to access them. Google is your friend guys. He will tell you many things if you know the right questions. Phantasy Star Universe: This was supposed to be the reboot. Clean slate. Fresh start. We're not in Ragol anymore kiddies look at all the shiny new features. You can even play on XBOX360, PS2, and PC. YEA! Remember when I said XBOX version of Phantasy Star had it's own servers? 360 did too. PS2, while an awesome console, was basically at the end of it's lifespan and also had no hard-drive. Yes yes Final Fantasy XI had a hard-drive add-on. No. Nobody bought it. Plus even if people did have it since PSU's developers didn't require a harddrive they couldn't really take advantage of it beyond the few people that would take advantage of the ability to back up games. Plus the PS2's ability to have a hard-drive was removed when they made the slim version. Put your hand down. So you're stuck with split servers and if you want to update content and provide patches you either have to leave the PS2 behind, or make every update something a PS2 player would be able to have, which severely cripples update-ability on everything else. Oh and I said something about how Japan was having parties and had awesome bling on Blue Burst? Yea. That happened here too. Only now with the supposed fresh start whenever an update was delayed, every thing that they got the rest of us didn't, each and every slight felt like a little papercut that immediately got rubbed in salt and rinsed out with freshly squeezed lemon juice mixed with iodine. We were promised a seat at the big table. Then when we complained when the booster seat wasn't high enough and nobody was passing the nomnoms we were told it was our own fault and we can either shut up and deal with it or go to our rooms. Then they wonder why we stateside aren't all that excited about the franchise anymore. Keep in mind even beyond the PSO franchise there are the Classic Phantasy Star games that got updated re-releases for the PS2 that have never and never will see the light of day here. Which is a shame because they updated, added features, made it accessable and fun if the youtube videos are anything to go by. Right where was I? Friends that have been in the closed beta seem to like it. Dare I hope? Has Sega learned their lesson? I want to rush headlong into this one It looks like Sega is doing a few things right for a change. Yet I don't want them to think they'll get a free pass for past sins. I leave you with a little eye candy Enjoy PSO's Decade in Review.